**ALL NEW UPDATE FOR SCARES, BETTER STORY LINE, PUZZLES AND MUCH MORE** PLEASE NOTE THIS MAP IS IN BETA AND IT HAS NO ENDING YET PLEASE STAND BY AND WAIT FOR FUTURE UPDATES I HAVE A GOOD ENDING PLANNED AHEAD. You play the role of luke Williams, A scientist at a top secret research facility. You also have a lab partner called Harry Barrnet you two are trying to make a cure for virus - A Untill Things Get MESSY. This is my first ever map in amnesia took me a while to make so please take some time to like and comment. 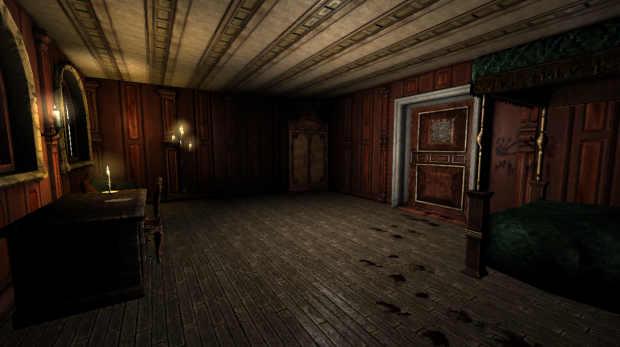 Features - Jumpscares - Monsters - Dark Rooms With Mysterious Atmosphers A must play for any experienced amnesia player or Noob. Thanks Everyone.